Editor's note: This article is targeted at readers residing in <?xml:namespace prefix = st1 ns = "urn:schemas-microsoft-com:office:smarttags" />Britain. Please always seek expert opinions when making financial decisions. House prices have fallen significantly over the past 18 months and it is now possible to pick up some real bargains. Whether you are a property investor, a buy-to-let landlord looking to extend your portfolio or are simply looking for a new home, then the slow market and lower asking prices could well be whetting your appetite for buying. At the same time, with increasing numbers of people unable to pay their mortgage, the number of properties being repossessed has also risen. This means there is a large amount of housing stock sitting on the market, potentially at a significantly reduced value. While this appears to be happening - the Council of Mortgage Lenders (CML) recently said it does not expect its prediction of 75,000 repossessions in 2009 to be realised - there were still 12,800 repossessions during the first three months of 2009, a 50% increase on the same period in 2008. Bernard Clarke, spokesman for the CML, says: "A mortgage lender has an obligation to the former homeowner to achieve the best value for their home; it also has to achieve a good value for its own sake, as it will want to avoid a shortfall on the outstanding debt. Holding out in order to achieve a higher price could end up costing it more." You can also use a new website, propertyearth.net, which lists around a thousand chain-free properties, including repossessed flats and houses, probate homes and unsold new homes from property developers. At the time of writing, the cheapest property up for sale was just less than £20,000 and the most expensive was on the market for £650,000. Dominic Toller, managing director of propertyearth.net, says: "There is often a stigma attached to buying a repossessed property because of the often sad background story behind the sale, but the reality for buyers is that the owner, for whatever reason, is motivated to sell and may well be open to price negotiations." Auctions, meanwhile, might be more up your street because the process can be a lot quicker - once the hammer falls the lot is technically yours and the sale then has to complete within 28 days. Another advantage of buying at auction is that you can usually get a good deal - while there are no exact figures on this, experts generally say buyers can save up to 30%. However, the actual price you achieve will depend on the type of property, why it is being sold at auction and how many people are interested - a lot of competition could drive up the price. You can find auctions in your area by looking in specialist property magazine and newspapers. Estate agents may also be able to help. According to The Essential Information Group, which provides nationwide data on property auctions, April saw 2,333 lots put up for auction, of which 70% sold. The majority of property being put up at auction is in the North West, closely followed by the South East, London and Yorkshire and the Humber. The most important thing to remember when buying at auction is to do your research in advance - the process is a lot quicker than buying through more traditional routes and it's vital you know what you're bidding on in advance. Don't get carried away with the excitement of the day. Notify a solicitor in advance of the actual auction, so that it can obtain any legal information on your behalf. Hand over any legal packs provided from the auction house, as well as the listing in the catalogue. Also, check for any special conditions related to the sale, as these could seriously affect the cost of buying a property through auction. 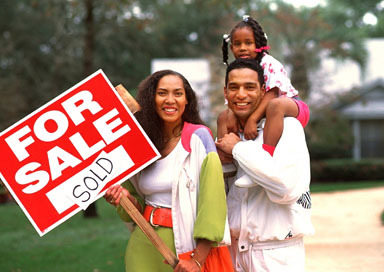 For example, you may be required to pay the seller's legal fees. David Hollingworth, mortgage specialist at London & Country, says: "Buying at auction shouldn't be all that different to buying through an estate agent - you really should consult a solicitor to make sure the lot is worth buying. It's no good buying a property at auction on the cheap if it's a dump." Last, but definitely not least, you need to get your finances in order before the day of the auction. Once the hammer goes down, you must be able to hand over a 10% deposit, with the remaining 90% required within 28 days. Don't assume you'll be able to get finance in that time - it's wise to ensure you have a loan or mortgage agreed in advance of the auction and an application in process, or you'll risk losing your 10% deposit. Here lies the real risk of buying at auction. In order to make sure you don't lose your 10% deposit, you must be prepared to pay out in advance of the bidding to get finance in place. However, if you don't end up being the successful bidder on a lot, then you risk losing the money you've already paid. Hollingworth says buying at auction isn't for the faint-hearted or those without money to hand - as well as having the 10% deposit to pay the auction house, you'll need to take into consideration the deposit your lender will ask of you. The larger the amount you have to put down, the cheaper the mortgage rate you are likely to secure. "Do your homework, set a budget and make sure you have everything prepared in advance," advises Hollingworth. "There is a real risk you could get carried away with the bidding and overspend. You could also win a bid only to find out no lender will give you a mortgage for it." Before you head off to the auction house, call it up to make sure the property you are interested in is still available and hasn't been withdrawn. You should also make sure you take your deposit with you - most auction houses will accept cash and cheques, but check before the big day. You are also likely to need two forms of identification. When you get to the auction house you will be required to register your name, address and contact details. Once this has been done, you'll be issued with a bidding number and allowed access to the auction room. Don't forget to request an 'addendum sheet', which has additional information about the property up for auction. Check it for any changes to the lot you are interested in. It's best to try and get to the auction early, to ensure you get a seat. If there are any lots up for bidding before the property you are interested in, then consider sitting in on these, especially if it's your first time, as they will give you an idea of how the process works. Remember, all lots up for auction will probably have a reserve price - that is to say, the minimum amount the seller is prepared to accept. You will have seen the guide price (the amount it is expected to sell for), but the reserve price is not disclosed. If the bids on the lots don't meet the reserve price, then the seller may well keep hold of the property. However, if they are keen to sell they may still be interested in negotiations - the auctioneers may act as agents and a deal could be done at the end of the auction. If you can't make an auction in person, then it is possible to make a bid by proxy or participate via the telephone. Speak to the auction house in question to find out the process for this. With thanks to Interactive Investors.